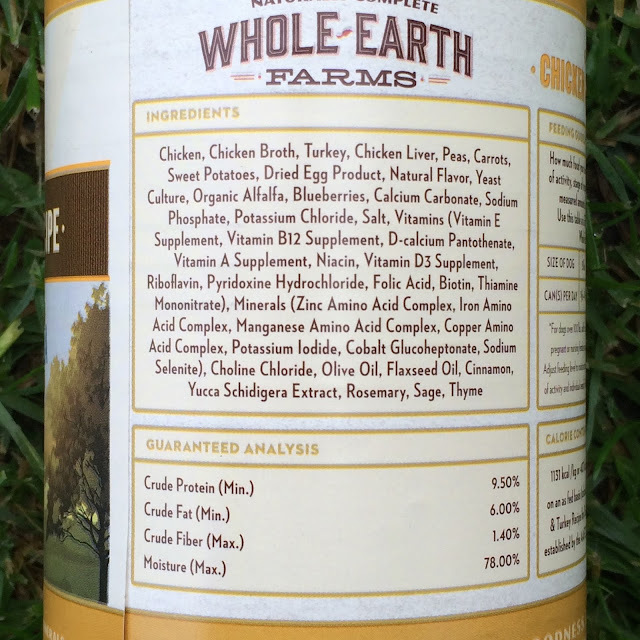 For the month of August, Chewy.com sent Venus some canned dog food from Whole Earth Farms to try. We've been on the search for a new dog food recently, so this came at a perfect time! 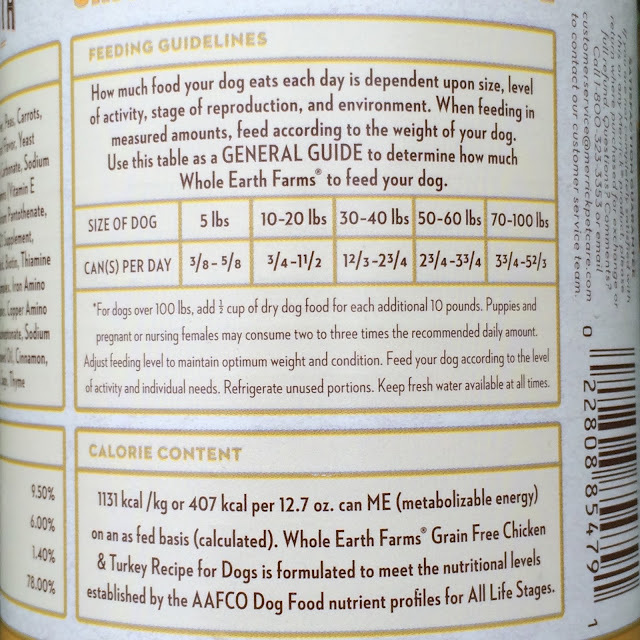 Pet parents will take great pride in feeding their dogs Whole Earth Farms, a wholesome line of naturally nutritious dog food that offers all the goodness from the earth at a good value. 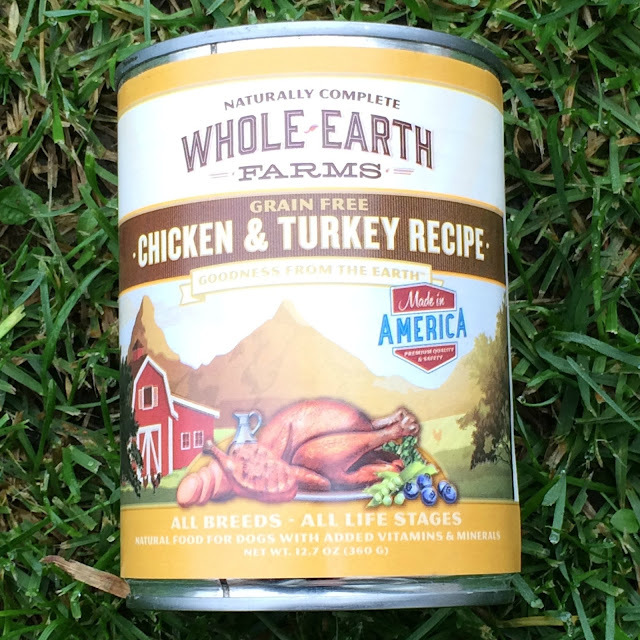 All Whole Earth Farms kibble and canned recipes are made in the USA with high quality, natural ingredients that deliver complete and balanced nutrition. Whole Earth Farms produces their pet foods in the United States - they make both dog and cat foods, with wet and dry options, as well as grain free foods. Venus tried the Grain-Free Chicken & Turkey Recipe - we feed her grain-free foods because she does have a grain allergy. This particular food features real meat in 3 the first 4 ingredients, the 4th being chicken broth. If there's one thing I love most about canned food over dry food, is that the meat content is high, and not nearly as processed, so I know Venus is getting great nutritional value from her food. Venus weighs roughly 20 pounds, and is overweight. We feed her 3/4 of a can per day, plus she gets three treats. This is recommended based on the kcal/cup found in this particular can of food, plus the calorie content of the treats we feed. Venus really enjoyed the Whole Earth Farms Grain Free Chicken & Turkey Recipe for Dogs. If you think your dog would like it too, you can find it on Chewy's website for $19.98 (price includes cost for 12, 12.7oz cans). 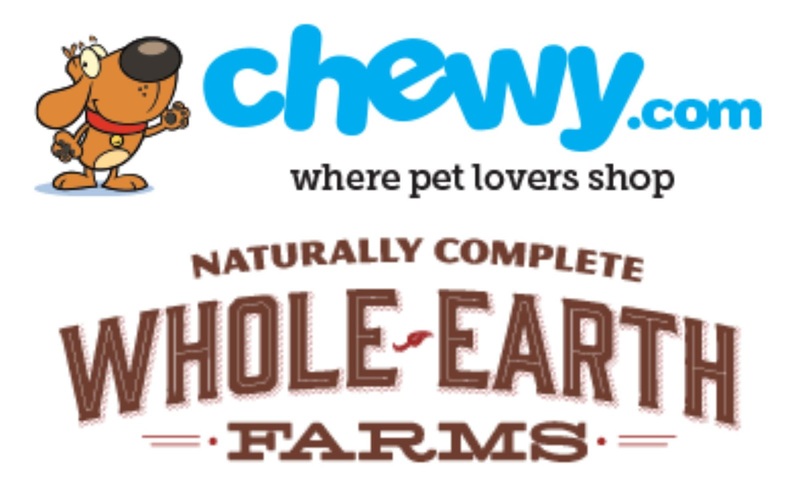 Chewy offers several other varies of canned and dry food from Whole Earth Farms for both dogs and cats.